Henry Kapono is a performer who has it all – vocalist, guitarist, songwriter, composer, thrilling performer, audience favorite—and multiple honors and awards, including a Grammy nomination. He has taken home 14 Na Hoku Hano Hano Awards (Hawaii's “Grammy”) including Male Vocalist of the Year, Song of the Year, Single of the Year, Album of the Year, and Rock Album of the Year, and in 2016, along with John Cruz and Brother Noland: Best EPK for his Rough Riders "We Ride" CD. Henry's original songs with a rock vibe celebrate his love for his family, express his pride in his Hawaiian culture, and share his joy in his home in the Islands! He has been at the creative forefront of contemporary Hawaiian music throughout his career – from the laid-back island rock of Cecilio & Kapono in the 1970s and 80s, to launching his solo career that produced 18 albums and fans around the world to his Henry Kapono & Friends collaborations celebrating the music that represents the sound track of Hawaii, to his Ground breaking Wild Hawaiian that fuses the power of Hawaiian traditions with driving rock rhythms and a soundtrack for the new century. The simple honesty of his lyrics and music touch the soul and his wildly talented guitar-playing shares his joy in being alive. Kapono has travelled the world with innovation and creativity of music that very few artists are able to sustain. Touring with a local rock band in the late 60s, he ended up stranded by the promoter in Vietnam. He and the band spent 2 years performing for the troops in Vietnam and Thailand before returning to Hawai‘i. The experience left him with a lasting commitment to peace, a deep appreciation for life, and compassion and aloha (love) for all people—themes that continue to resonate in his music. When he soared to the forefront of Hawaiian music in the 1970s with the duo Cecilio & Kapono, they became the first Hawai‘i group to achieve a national recording contract (Columbia Records). 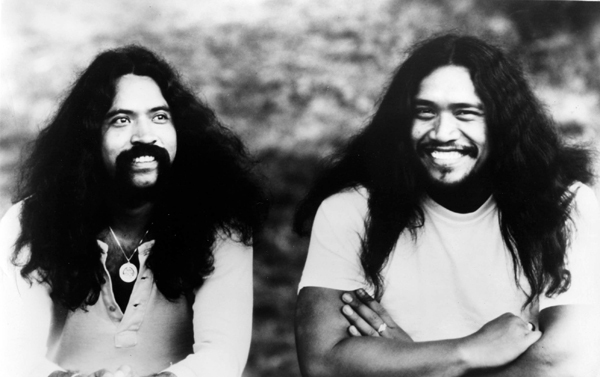 Together they recorded 13 albums, giving contemporary and folk rock—and Hawaiian music—a new perspective. Always musically adventurous, Henry launched a solo career in 1981; he has released 18 albums to date. He continues to break new ground with his collaborations – The Wild Hawaiian in 2006, joining driving rock and slam poetry with Hawaiian chant, Henry Kapono & FRIENDS concert series in 2014 featuring Henry and many other top entertainers from Hawaii and beyond, The Rough Riders in 2015 celebrating the Hawaiian Cowboys (Paniolo) with haunting harmonies and a unique blending or guitars – that appeal to audiences around the world. He is also the author of the award winning children's book, A Beautiful Hawaiian Day, has appeared in films, and has made many television appearances. Henry Kapono Talks About His Inspiration For "Love You Forever"